Chopta is a new and fast upcoming tourist destination of the state of Uttarakhand of India. Chopta is the starting point for the treks to the well known for Tungnath Mandhir, highest of the Panch Kedar of Lord Shiva, these are most familiar places to visit near Chopta Chopta is one of the best places to visit in Uttarakhand during the winter months due to the snowfall that the area experiences. 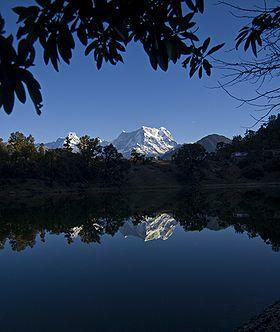 Chopta is located in the Rudgraprayag district of the state of Uttarkhand in India. Chopta is fast becoming one of the famous and popular tourist destinations and is also known as a mini switzerland in India. Chopta is located at an altitude of about 2600 meters above the sea level and is set amidst dense forests of pine, Deodar and rhododendrons. 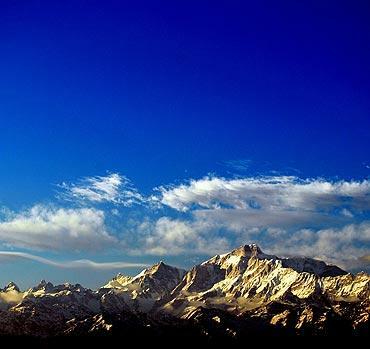 From Chopta you can see panoramic and enchanting views of the great and majestic looking Himalayas. If you are planning to visit Chopta it would be better if you travel in the summer. You will need to carry light woollens even then with you. If you are travelling during winter you will have to carry heavy woollens with you for it will be very cold out there. During winters Chopta, Tungnath Mandir and Chandrashila are covered with snow. If you visit in December to February, you can see snow fall. You can enjoy trekking and walking in the snow too. If you are travelling by air, Jolly grant airport is the nearest one at about 221 kilometers from Chopta. Jolly grant airport is well connected with regular and daily flights from Delhi. The road from the Airport to Chopta is well laid and are motorable. Taxis and other private hire vehicles are available to go to Chopta from the Jolly grant airport. If you are travelling by rail, the nearest railway station is Rishikesh which is situated at about 202 kilometers from Chopta. You can easily get to Chopta from any part of India as it is well connected with all the important cities and towns of India. Taxis and buses are available to go to Chopta from Rishikesh and there are good motaorable roads connecting both rishikesh and Chopta. If you are travelling by road you can find buses from Rishikesh and Srinagar as well as other major destinations of Uttarakhand. Rishikesh, Gaurikund, Pauri, Uttarkashi, Gopeshwar, Rudraprayag and many other places are well connected to Chopta. Chopta is easily accessible as it is located on the road connecting Guptkashi with Gopeshwar. Tungnath Mandir is one of the Panch Kedar temples and one of the most revered temples of Lord Shiva. This temple for Lord Shiva is the highest placed temple in India which is at about 3680 meters above sea level. Tungnath Mandhir can be reached only after a 3.5 kilometers trek which starts at Chopta. Even though Tungnath Temple is the highest , it is the easiest of all Lord Shiva Panch Kedar's temples in the Himalayas to reach. Chandrashila is the highest point where Chopta and Tungnath mandhir are located.This is located at an altitude of about 4000 meters above sea level, you can have panoramic views of 270* of the snow clad Himalayan peaks like that Nanda Devi, Trishul and Chaukamba . The highest point Chandrashila is located at about one and a half kilometers from Tungnath temple and so it makes about 5 kilometers in total from Chopta. Deoria Tal is a lake located on the 3 km on an uphill trek from the villages of Mastura and Sari, on the Ukhimath-Chopta road in Uttarakhand at an altitude of about 2387 meters amidst dense forests, lush green surroundings with splendid snow covered mountains as a backdrop. You can see mountain peaks like Nilkantha, Bandharpunch, Chaukamba, Yellow Tooth, Kedar range and Kalanag etc from the lake as a panoramic view.